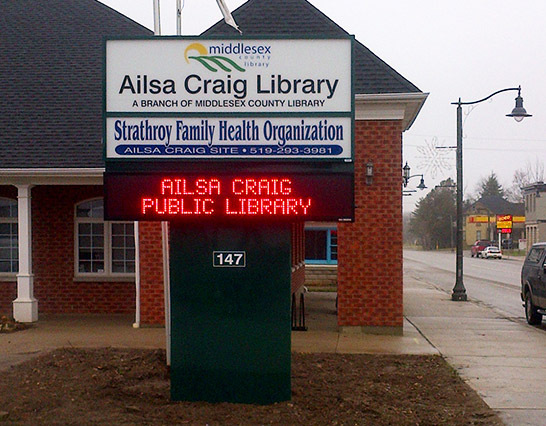 Illuminated ground signs are one of the very best ways to advertise your business or organization. 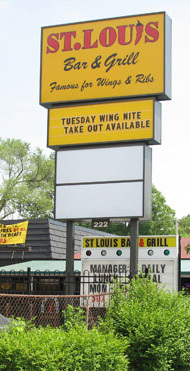 These signs are similar to non-illuminated ground signs except that they contain electrical lighting which allows them to advertise during the night. 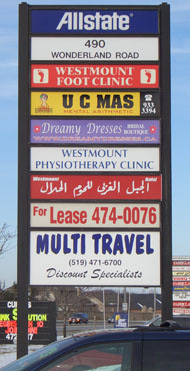 Ground signs provide a bold and captivating form of advertising for your business. 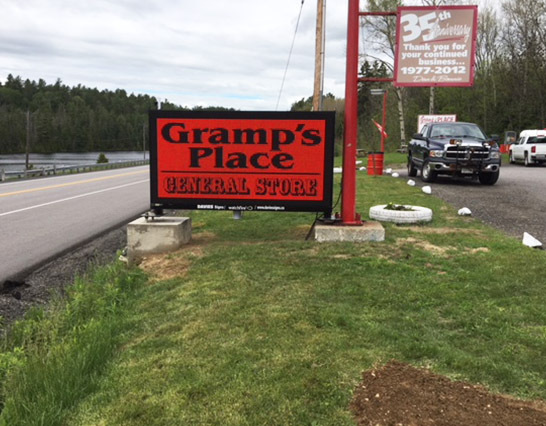 They are called ground signs because they are permanently mounted to the ground with a foundation to hold them securely in place. We feel that these are more than just signs and should be considered to be an investment in the future of your organization. 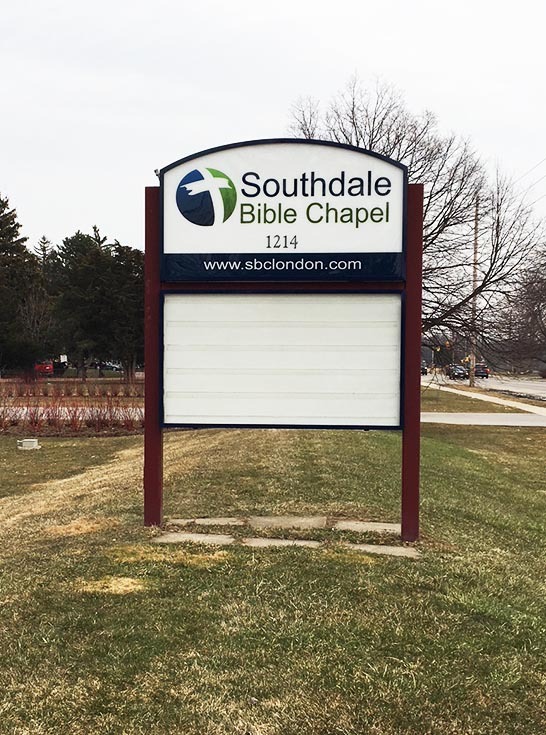 Illuminated ground signs are often used for single organization advertising and pylon signs which are much larger promote multiple businesses, usually at malls or strip plazas. 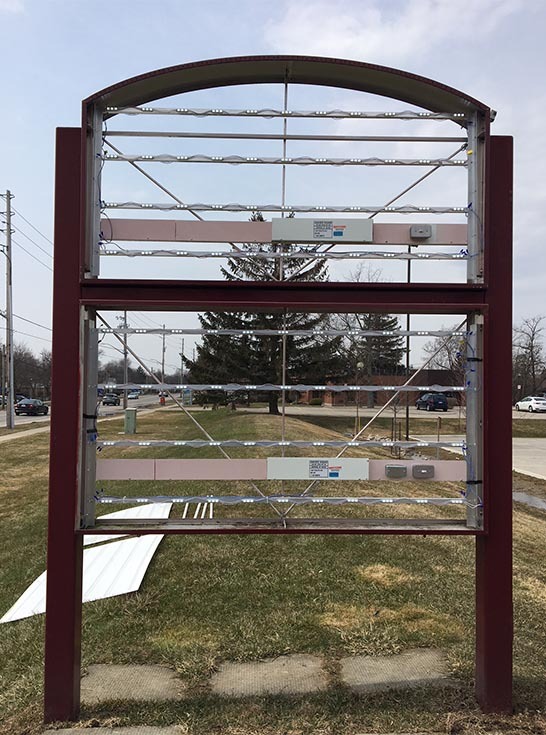 They are constructed from aluminum sign boxes and steel posts for long term durability and the electrical components contained within them are usually LED illuminated and adhere to hydro-electric regulations. From the pictures we are showing you can see that ground signs come in all sizes and shapes. 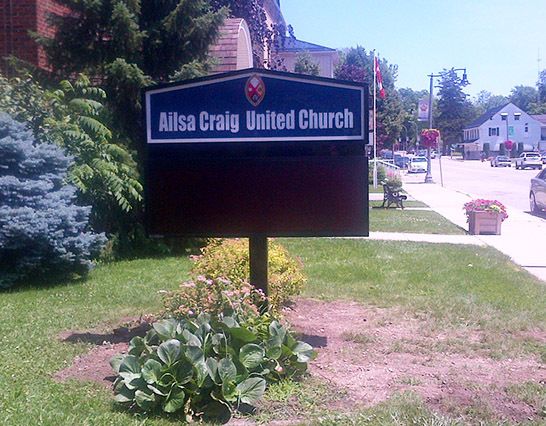 Our ground signs are custom designed. 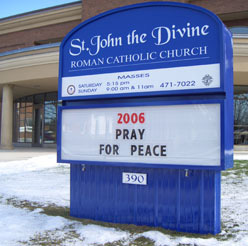 We enjoy the challenge of bringing your organization’s dream sign to life! 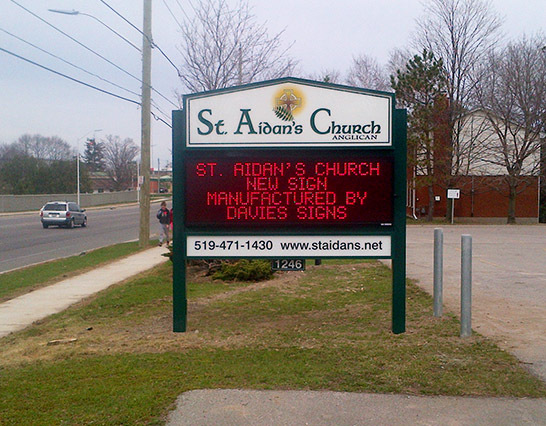 We have designed illuminated ground signs for churches, small businesses, malls, restaurants, and many others. 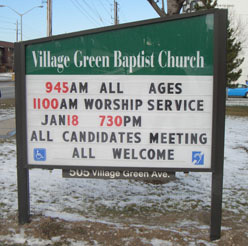 Any type of organization can benefit from having a well-built ground sign. They are the best way to make your institution known, as your name and logo take centre stage to onlookers. 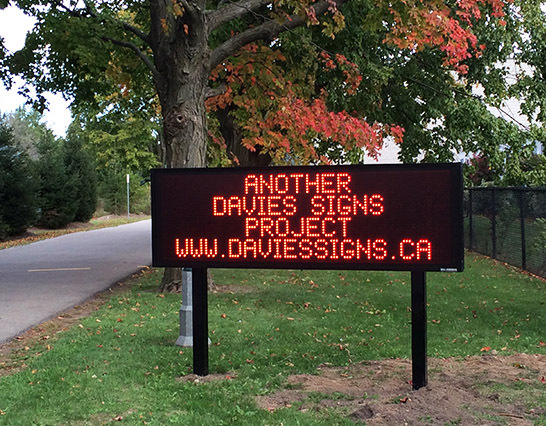 Davies Signs has been building some of the best ground signs for several decades. We take pride in each job we do, paying attention to every detail so that you end up with a sign to be proud of. 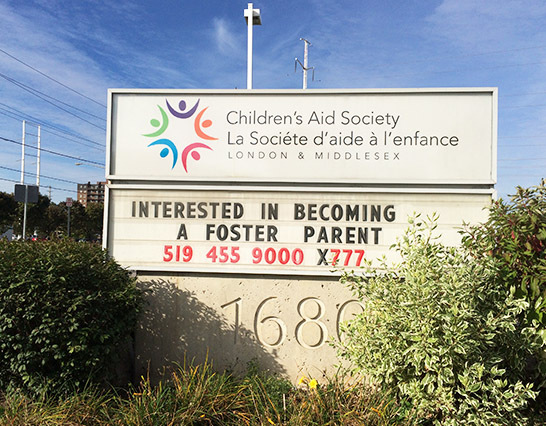 If you’re looking for a great sign to send your message, give us a call!